Texas Coffee Traders Operations Manager Traci Armstrong and Roastmaster Keith Wright at the new lab. All images courtesy of Texas Coffee Traders. 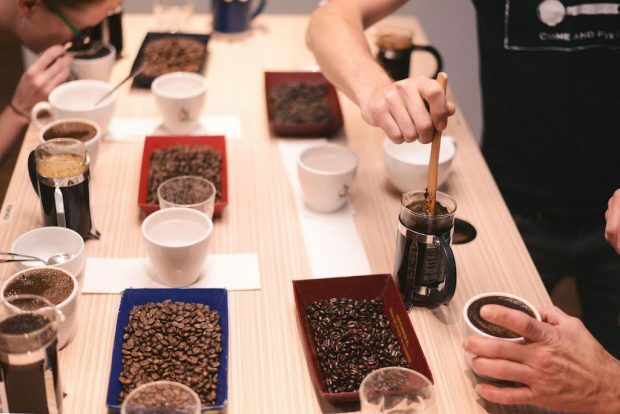 Longtime Austin, Texas-based roaster Texas Coffee Traders has opened the first SCA-certified campus in the Lonestar State. 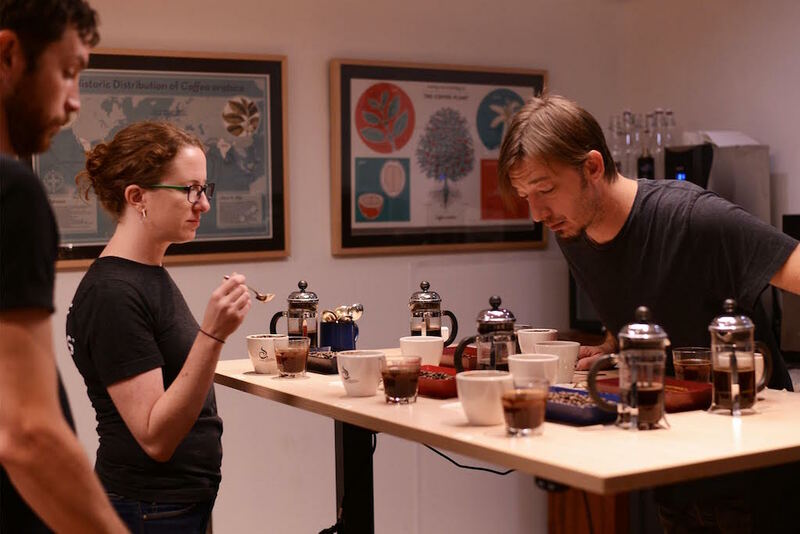 Company president Beth Beall said the lab facility not only provides space for coffee professionals to take SCA-accredited courses to further their professional development, it also represents a natural extension of TCT’s longtime mission toward coffee education. The lab space is built into a former storage space in the company’s production roastery headquarters and cafè on Austin’s east side, which, like specialty coffee, has seen a tremendous amount of development since TCT first moved into the building in 1994. For coffee preparation, the lab itself includes a 2-group Victoria Arduino Black Eagle espresso machine and numerous grinders and manual brewers as well as green coffee and roast analysis tools. As a licenced Q-grader and sensory expert, Beall has been most excited by the wide range of sensory analysis tools that can now be put to use in a quiet, dedicated space. In addition to being a first in Texas, the campus also offers equipment and expertise in the field of air roasting, as opposed to drum roasting. Sivetz air roasting machine creator Michael Sivetz and TCT founder R.C. Beall were longtime friends, and R.C. Beall maintains allegiance to and faith in the quality capabilities of his trusty Sivetz machines. In addition to those, the roastery and lab are also supported by two air-based sample roasters from Neuhaus Neotec. 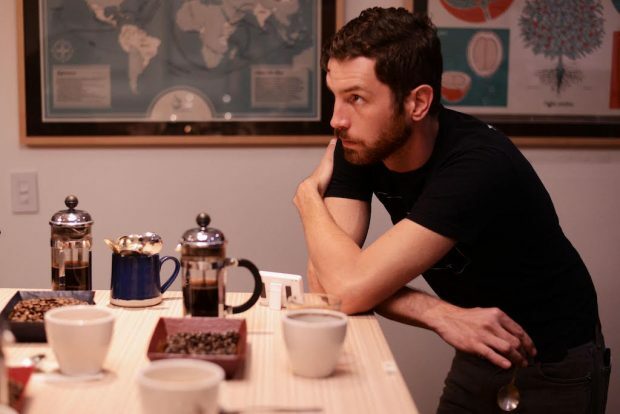 Texas Coffee Traders specialty roaster Ryan O’Donoghue. Initially, the TCT campus will be offering SCA Pathways courses including Foundations of Coffee, Barista Level 1, Taster Level 1, as a bundle including the Foundations, Barista Level 1, and Exam. TCT is also planning to offer education in Q-certification, along with informal classes for home espresso making, home coffee brewing, and basic tea and coffee education.